The Sonus Quintum Tenor AFG400 4FXS VoIP Gateway allows small businesses, SOHOs, and branch offices with analog telephony infrastructures the ability to utilise the VoIP network to reduce costs. The Sonus Quintum Tenor AFG400 4FXS VoIP Gateway is the simplest path to smarter, better communications for small offices and branch offices: superior Voice over IP sound quality, reliable security, cost-saving features and full integration with your existing PBXs and analog phones. 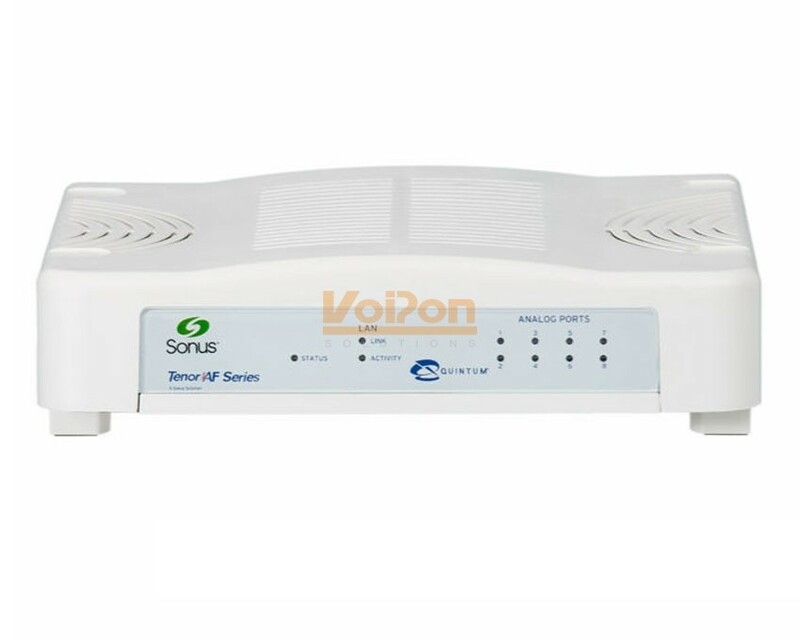 VoIPon - your Sonus Quintum Tenor AFG400 4FXS VoIP Gateway[AFG-400] distributor, supplier, reseller! Get all your wifi at VoIPon! If you would like to be notified when the"Sonus Quintum Tenor AFG400 4FXS VoIP Gateway" is re-stocked, please enter your contact details and we will notify you instantly.